George Case is the Director of Choral Activities at The Boston Conservatory, where he directs the chorale ensembles, teaches Choral Literature, and directs the graduate choral conducting program. Dr. Case is also the newly appointed music director of the Newburyport Choral Society, an 80-year old choral society on the north shore. With a multi-faceted background as a conductor, educator, and professional singer, Dr. Case brings a wide-ranging body of musical experience and a passionate artistic voice to his work. He holds Doctoral and Masters degrees in conducting from the University of Michigan and a Bachelors degree in vocal performance from Boston University. While pursuing graduate degrees in Michigan, Dr. Case served as artistic director of the Arts Chorale, assistant conductor of the Grammy Award-winning University Musical Society Choral Union, graduate conductor of the Orpheus Singers, and co-teacher of Choral and Vocal Methods classes. Additionally, he was opera chorus director for Stravinsky’s The Rake’s Progress and assistant conductor and accompanist for the university’s renowned Men’s and Women’s Glee Clubs. Dr. Case is an award-winning educator of young musicians who frequently leads clinics and workshops for high school and college singers, as well as professional development sessions for teachers around the country. During his tenure as Director of Choral and Vocal Programs at the Cobb County Center for Excellence in the Performing Arts in his native Atlanta, Georgia between 2007 and 2010, Dr. Case’s choirs were selected to participate in the Honor! Festival, curated by Jessye Norman and Carnegie Hall with Craig Jessop and the Orchestra of St. Luke’s. Dr. Case has been recognized as a 2010 Presidential Teacher Honoree and 2009 Star Teacher for Pebblebrook High School, and he served on the faculty of the Boston University Tanglewood Institute from 2005 to 2012. As a soloist and professional chorister, Dr. Case has performed with major ensembles across North America and Europe. 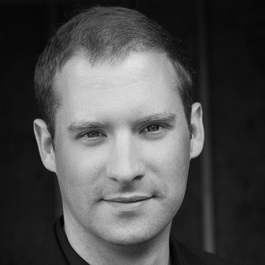 He is a regular member of and soloist with the Santa Fe Desert Chorale, Atlanta Singers, Meridian Chorale, Skylark Ensemble, Marsh Chapel Choir, and the Carnegie Festival Chorus, and he has appeared as soloist in Stravinsky’s Mass at the Great Lakes Music Festival and in Beethoven’s Choral Fantasy with the Detroit Symphony Orchestra under Leonard Slatkin. He was a featured soloist in a gala performance of music by prominent American composer Susan Botti during the closing celebrations of the 2006 Prix de Rome Competition in Rome, Italy. Dr. Case has prepared choruses for leading conductors including Michael Tilson Thomas, Craig Jessop, Leonard Slatkin, and Helmuth Rilling. His primary conducting teachers include Ann Howard Jones, Jerry Blackstone, Joshua Habermann, Paul Rardin, and Kenneth Kiesler, and he has received additional mentorship from David Hayes, Don McCullough, Tom Hall, Robert Page, Helmuth Rilling, Kathy Romey, and Anton Armstrong.